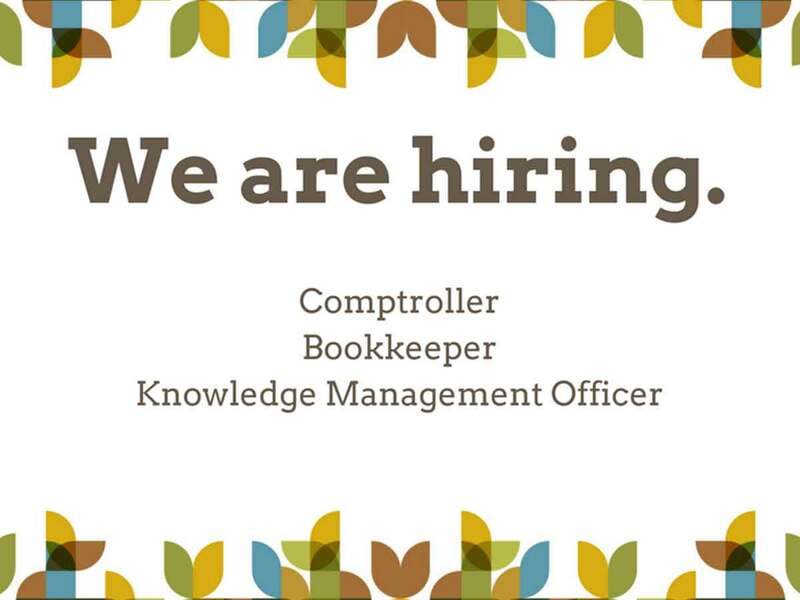 We are looking for qualified people to fill the following positions: Comptroller, Bookkeeper and Knowledge Management Officer. To apply for the vacancies, please send an up-to-date CV and cover letter, addressed to Atty. Jose Andres Canivel, Executive Director, to admin@ptfcf.org. The cover letter should have no more than 600 words explaining why you feel that you will suit this post and why you want the job. CVs not accompanied by a cover letter will not be considered. Applicants who do not meet the minimum qualifications will not be considered. If asked for an interview, please bring a copy of your previous work outputs.